What if your psychiatrist prescribed a trip in the forest vs antidepressants? As a common practice in Japan, “Shinrin-yoku” are short visits to forests that allow to breath in volatile substances which improve overall immune function. A walk or trip in the forest corresponds to natural aromatherapy practice, and evidences have shown that significantly decreases anxiety, depression and anger. Resins produced by plants in forests are mainly composed by lipid molecules, terpenes, which play a prominent role in traditional herbal remedies (as well as in a variety of other purposes, from cooking flavors to cleaning product scents). There is an incredible variety of terpenes in nature, a number well over 10,000, varying in structure, scent and function, and are of immense importance to us. Some examples comprise of humulone, constituent of hops, which you may are familiar with, if you like the bitter flavor of your beer; Menthol, is probably part of your toothpaste and lemongrass of the washing liquid, geraniol of your anti-mosquito stick, and lavander of your evening herbal tea.. Some terpenes show anti-depressant and calming, anxyolitic effects. What terpenes can play antidepressant- anxiolytic role? Limonene was demonstrated to mediate its antidepressive effects via the receptors 5-HT 1A, which increase serotonin (a neurotransmitter that regulates mood) in the prefrontal cortex; This brain region is associated with personality expression, decision making and social interactions. Moreover, limonene increases dopamine (a neurotransmitter that contributes to feeling of reward) in the hippocampus (the brain area that controls learning & memory). (8, 9). Is a terpene with well-established anxiolytic activity. It is psychotropic, and plays a crucial role in the sedative and calming effects of Lavander as well as Cannabis. 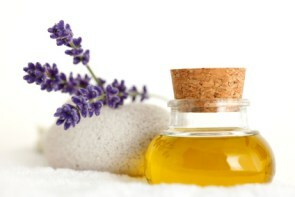 Linalool acts via GABA modulation, making this essential oil important in the treatment of seizures, stress & anxiety. (GABA is in fact the main inhibitory neurotransmitter & is targeted by anxyolitics & anticonvulsants). Phytol, present in most green plants, increases GABA by blocking one of its degrading enzymes which could account for relaxing effects of Cannabis Sativa & Lactuca Sativa. The measurements of free adrenaline and noradrenaline in urine provides a reliable measure of the circulating concentration of these hormones in the bloodstream. Lower stress is associated with decreased concentration of sympathoadrenal activity. Follow-ups studies were undertaken in 2008 in order to understand whether lower stress was exclusively due the fact that examined subjects were having time off work, so another clinical trial took place. This time the subjects were prompted to walk leisurely (as they were during the forest bathing trips) visiting a city without the presence of forests or conifers-parks. The city tourist visit had no effect on stress hormones levels, suggesting once again that the natural setting was indeed key to achieve the positive results, as shown in the figure below. The increased immunologic activity, as well as the lower stress response lasted for more than 30 days after the trip, suggesting that a forest bathing trip a month would be ideal as part of a prevention program; essential oils may be inhaled or massaged on the body of a patient suffering from acute stress or insomnia and the effects tend to be almost immediate, making this method, possibly in conjunction with other lifestyle changes (if you are interested in nutraceuticals that are ideal for management of depression we recommend to check here), a great first-line treatment that is totally devoid of side effects, at contrary with majority of pharmacological intervention (SSRI, MAOs, Benzodiazepines).